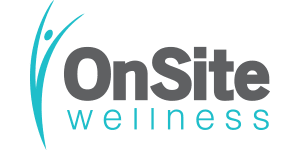 Everyone will register their own personal account on OnSite OnLine and will regularly visit their portal to find important wellness information, access online wellness classes and utilize specific tools that are geared towards their health risks. Start here to get a personalized health status report and tailored resources. Send a direct email to a certified professional for personalized tips. Take key wellness tools with you on the go. Manually track your steps and minutes or sync your device. See how close you are to reaching your prize. Explore wellness workshops, recorded classes, and other wellness resources on your own.